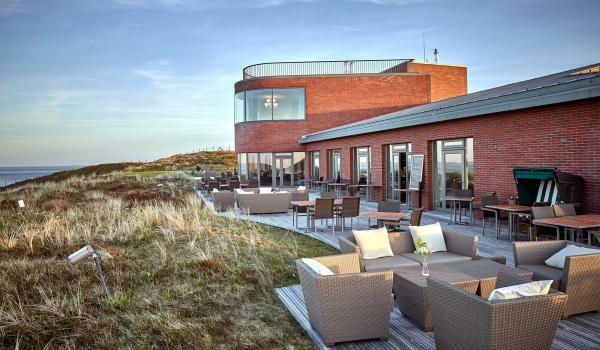 At the southern end of the island, a young team headed by the chef de cuisine Günther Schwarz, awaits you amidst a delightful view of the North Sea, Budersand golf course and Sylt’s sand dunes. It is here that the finest regional produce – the best of fish and meat – is brought to the table. 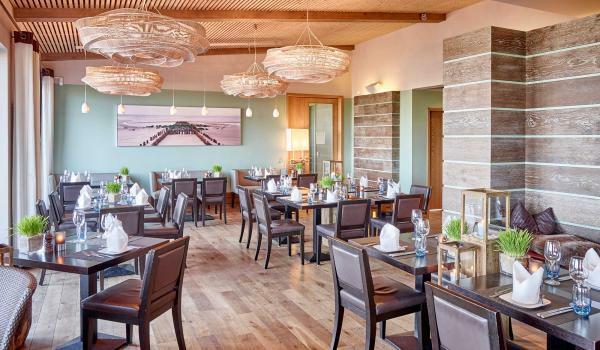 Strönholt – the local word for items that have been washed up on the shore – with its airy, fresh ambience in the midst of the dunes offers the perfect setting for a relaxing stay. As a reflection of this philosophy, chef sommelier Thomas Kallenberg has developed a short but elegant wine list with inclusions ranging from prestigious vineyards to young and up-and-coming winegrowers. Whether you are looking for the character of German white wines, or rosés and European reds – discover something exciting made by young winemakers or old acquaintances and their long-told stories. At midday, hungry beachcombers and contented golfers enjoy local bistro cuisine with a lunch menu that is redrawn every day. Delight in coffee specialities and a selection of cakes in the afternoon accompanied by a view of billowing beach grasses. The evening menu is defined by freshly caught fish, crustaceans and mussels, but never falls short of meat and vegetable courses. Choose from seasonally inspired dishes, daily recommendations or from the à la carte menu.